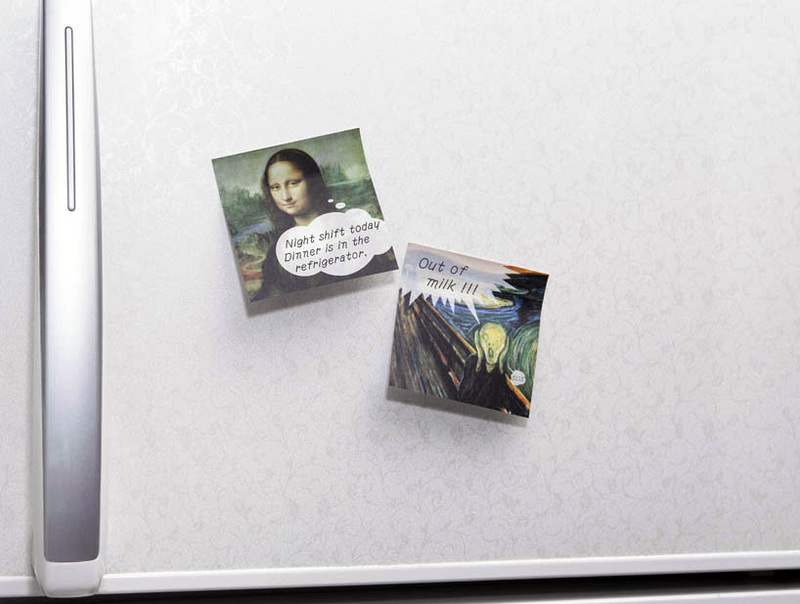 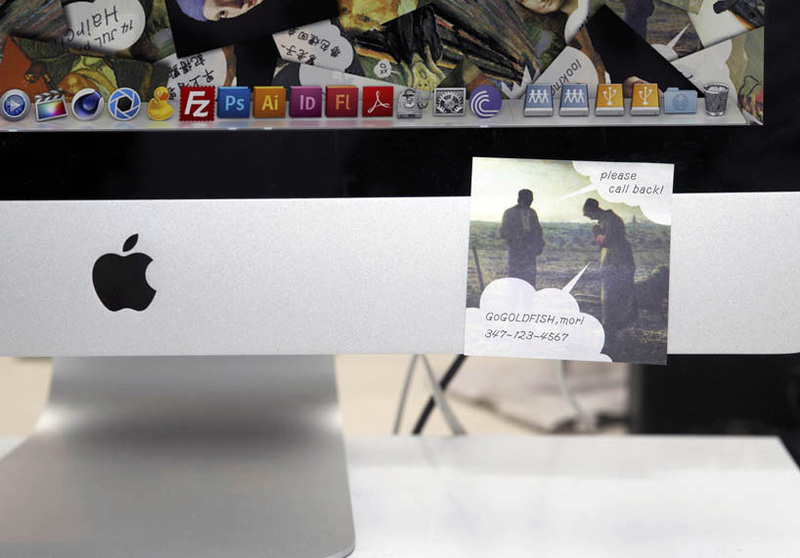 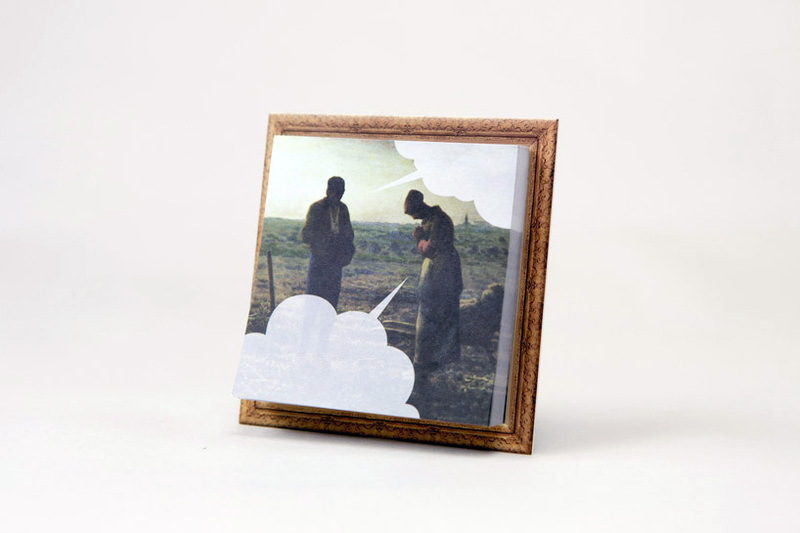 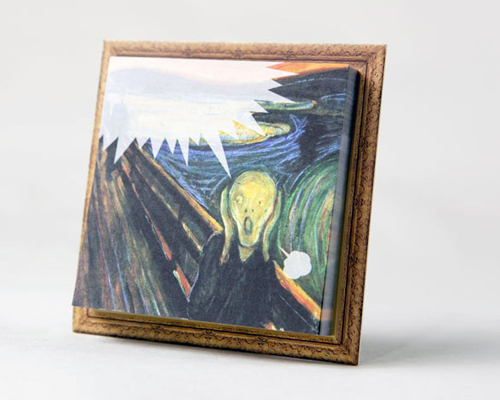 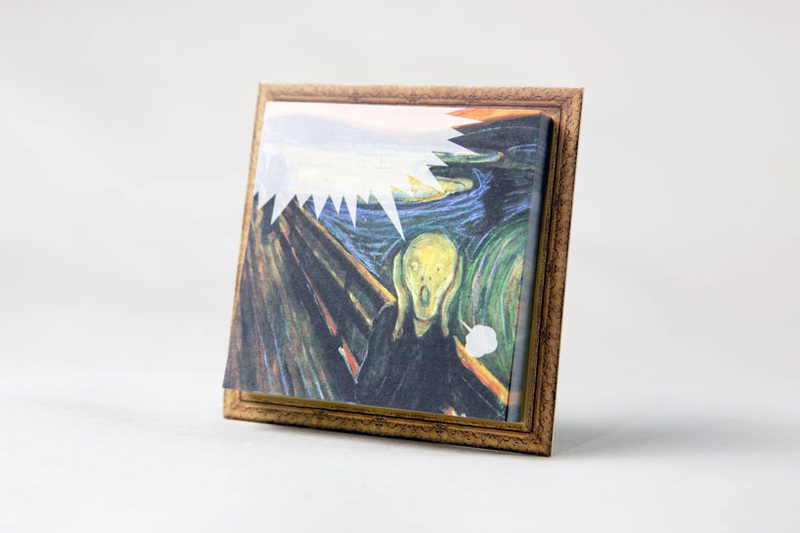 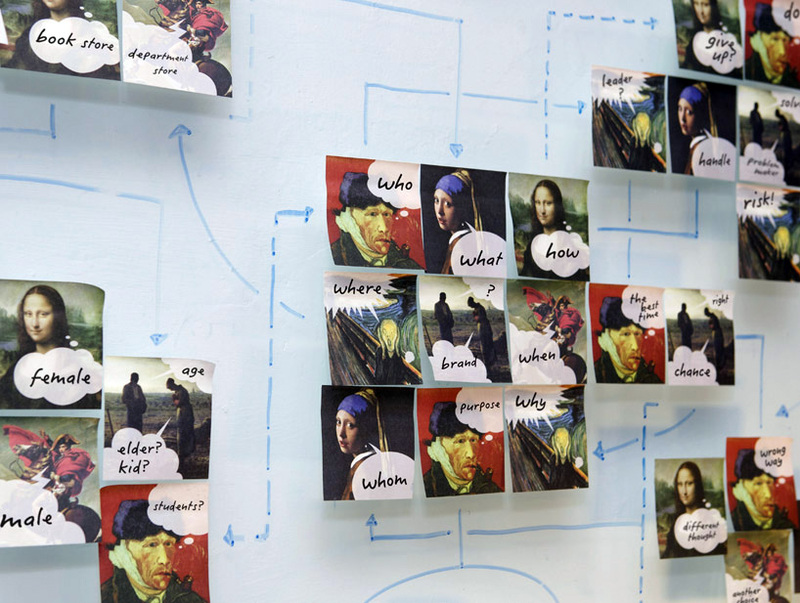 using the ‘threem sticky notes’ by gogoldfish design studio, lets famous paintings help people say inconvenient things. 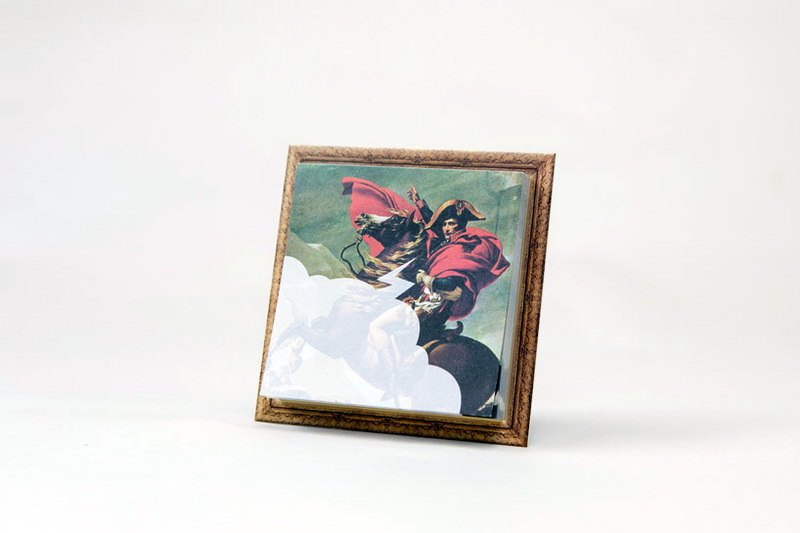 allow the majestic-looking napoleon gently convey a memo to walk the dog, or a panic shouting on a refrigerator to remind someone to go get groceries at the supermarket. 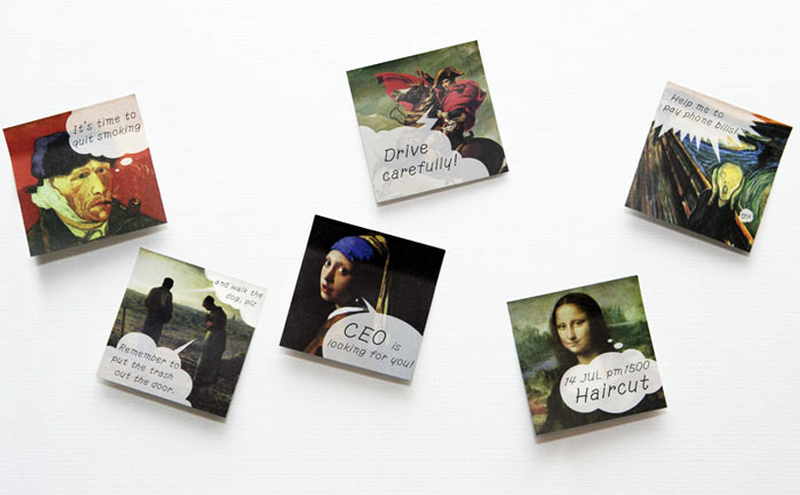 these messages via famous paintings make all of the ordinary and trivia matters more interesting. 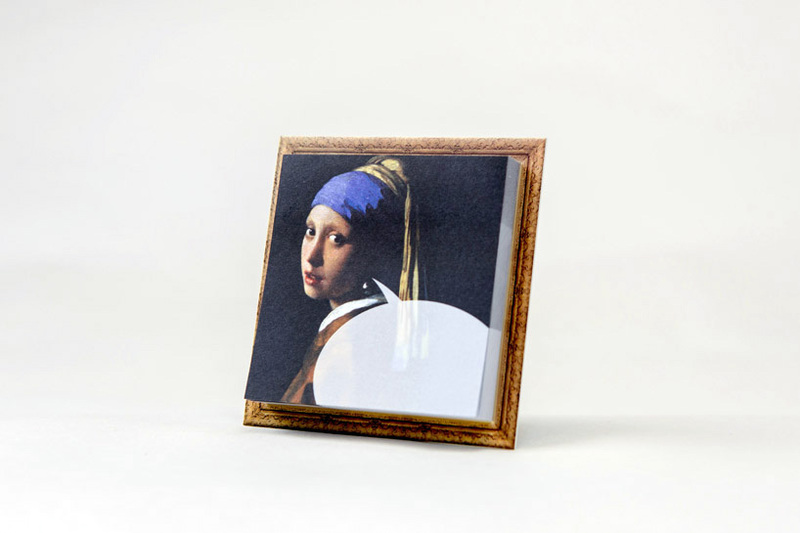 the ‘threem sticky notes’ are made from 80gsm simili paper and soybean ink, with each pad containing 80 notes and a stand on its back to enable easy placement on a desktop. 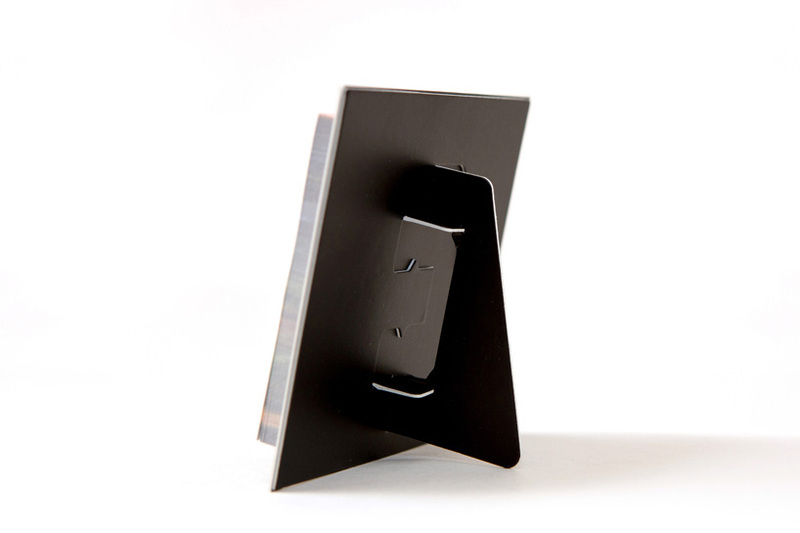 not only is it beautiful in order to brighten up work or home environments, but also handy to use at any time, wherever. 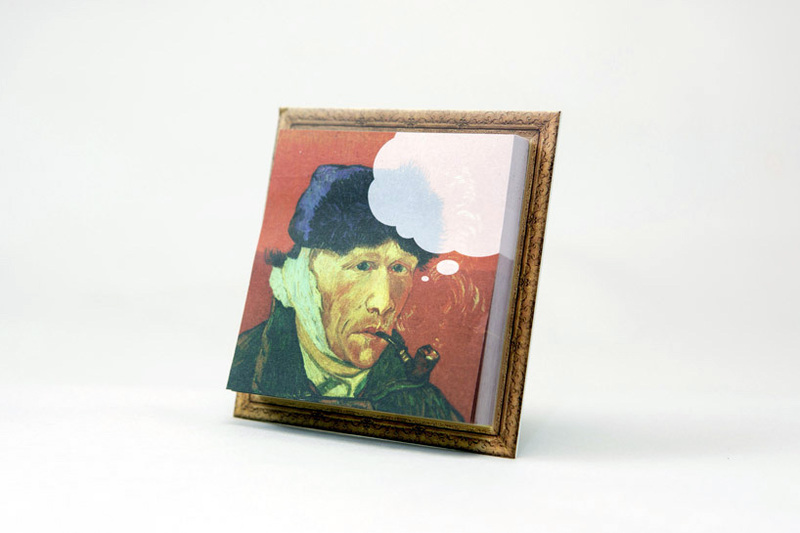 what will napoleon tell you?